Summer is the perfect time to deal with outdoor maintenance projects. Here are some tips from an expert on where to start. What kind of first impression do you want your building to create? Having an attractive building exterior adds to the property value and can create an impression that may help determine how much you can request from a tenant. Now that we’re well into the summer season, it’s the perfect time to tackle any outdoor maintenance projects you may have been putting off. Your tenants (and bank account!) will thank you! Mike Benteau, president of paint contractor Elite Trade Painting, explains where you should start. If your building is wood-based, the frequency of maintenance can be higher depending on your building’s location and what maintenance has been completed in the past. If your structure is metal or concrete, you can stand to wait longer as these materials are sturdier and can withstand a lot more abuse than other common building materials. However, no matter what your building is built from, don’t wait too long. “The reality is, if [a potential tenant] looks at your building and it looks terrible on the outside but nice inside, it still creates a bad first impression,” says Benteau. 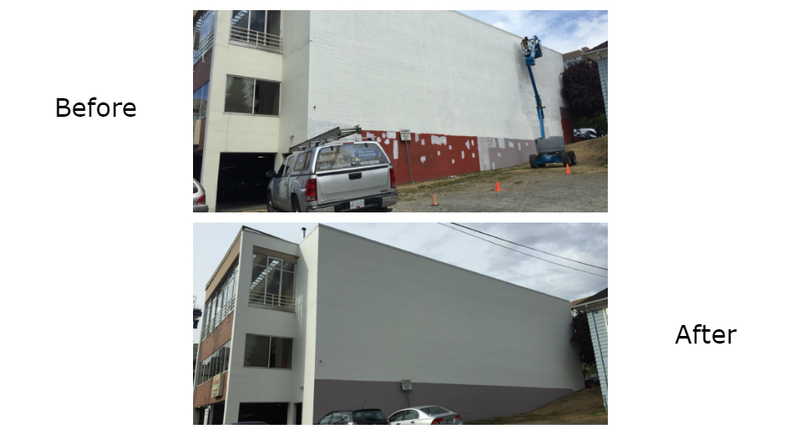 Although it’s currently summer, new options in paint don’t limit you as far as when you would like to tackle new projects and beautify the exterior of your building. Benteau says it can cost up to 10 times as much to replace a poorly maintained part of your property than it does to maintain (depending on the part that requires replacement). He believes age is just a number when it comes to buildings. “There are lots of 100-year-old buildings that have been properly maintained and have lasted,” he says. To help moderate the hit on your wallet, consider a timed approach to your maintenance strategy. “To even out costs, one side of the building should be done each year so they’re not facing a huge bill every five years, making it easier to pay for it,” says Benteau. He adds that this strategy allows an owner to anticipate when a large maintenance bill will be due, so they can plan out costs ahead of time. “As with anything, sometimes the colour of the building becomes more of a problem than anything else and people want a fresh look or a change,” says Benteau. 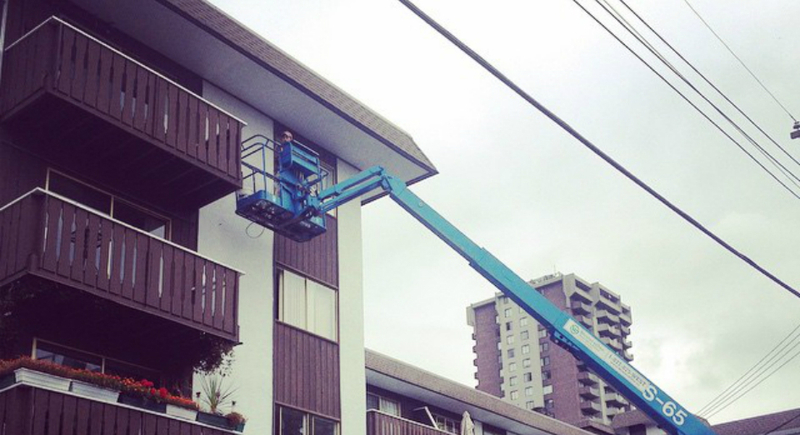 Painting the exterior of a building involves several steps: most buildings must be pressure washed to remove mould, dirt, grease and grime, and then any loose or peeling paint must be removed. 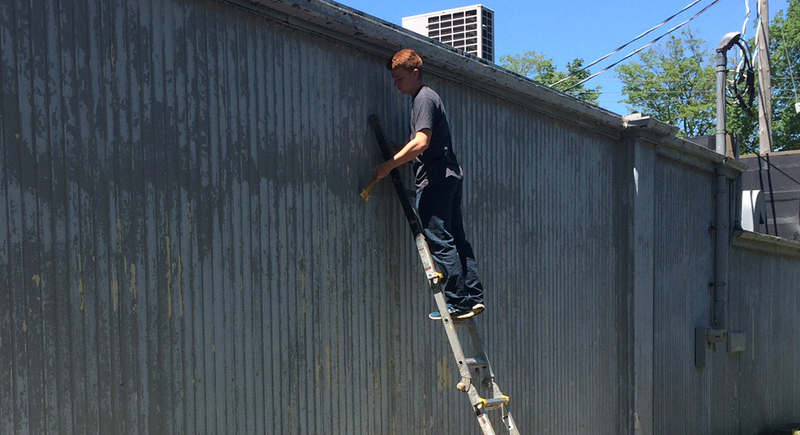 The next step is very important: repairing the caulking along windows and trim to ensure no water is getting inside. Finally, it’s time to prime and then paint. “If you skip one of those steps, you diminish the amount of time the building is going to last. If you don’t pressure wash the building first, you’re painting over surfaces paint doesn’t adhere to, for example,” says Benteau. Other projects you may want to tackle during your summer maintenance may vary, depending on whether you are working on a small residential building or a large residential or commercial structure. Benteau finds that larger buildings are more concerned with maintaining doors, parkades and other high-traffic areas. Finally, don’t overlook your building’s steps and decks, which are an extremely high-traffic area and must be maintained more often than any other part of your building. For more information, please contact Elite Trade Painting.